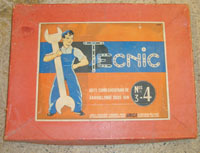 Tecnic metal construction sets were produced from 1944 to the 1970s. They were made in Belgium. The Tecnic instruction manual for set 4. 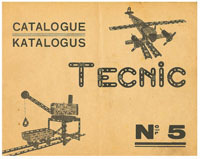 The Tecnic instruction manual for set 5. The Tecnic instruction manual for set 6. 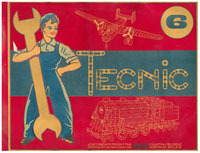 The Tecnic instruction manual for set 7. The Tecnic instruction manual for set 9. 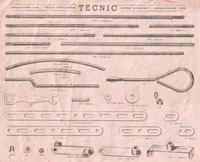 The Tecnic 1946 Parts List.